To celebrate National Grilled Cheese Day I made a really fancy grilled cheese and it was soooo yummy!!! Inspired by Milk Truck Grilled Cheese who always has the longest lines at Smorgasburg and who I love, I made a Grilled cheese with caramelized onions and apples with both old cheddar and shaved parmesan. Polaroids on a sunny day! 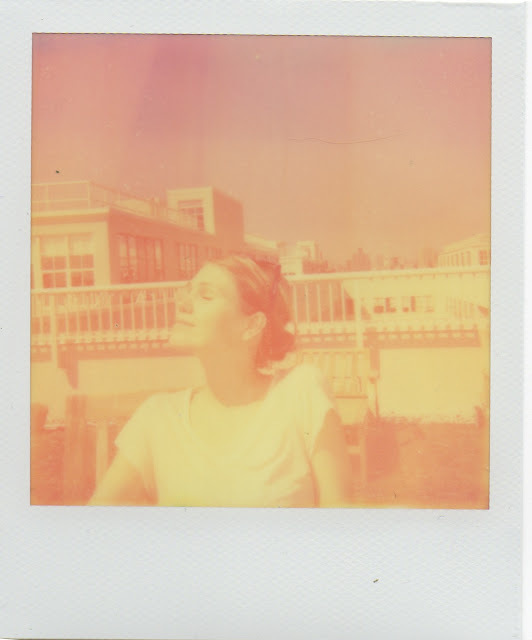 A few weeks ago I took my polaroid up to the roof! It was VERY sunny and warm out. First, I used a regular pack of Impossible Project Color film, then I used Impossible Project expired Color film. The expired film ended up coming out better, but I had just taken it out of the fridge so that may be why. None of the photos really turned out well at all. I think this is because of how sunny it was, and it was around noon so the sun was really shining down. I used iphoto to edit the photos and the result is that you can see them a little more clearly. Parents on the roof (PX70 Color Shade - not expired). It's really difficult to see anything in the right half of the photo. I pressed enhance on iphoto and played around with the settings and this was the best I could do! The right half of the photo is still hard to see but I like the little bushes on the left. This one also didn't turn out at all, the same thing as the previous photo, the left third of the photo is more clear. It's a bit easier to see after iphoto editing but again mostly in the left third of the photo. 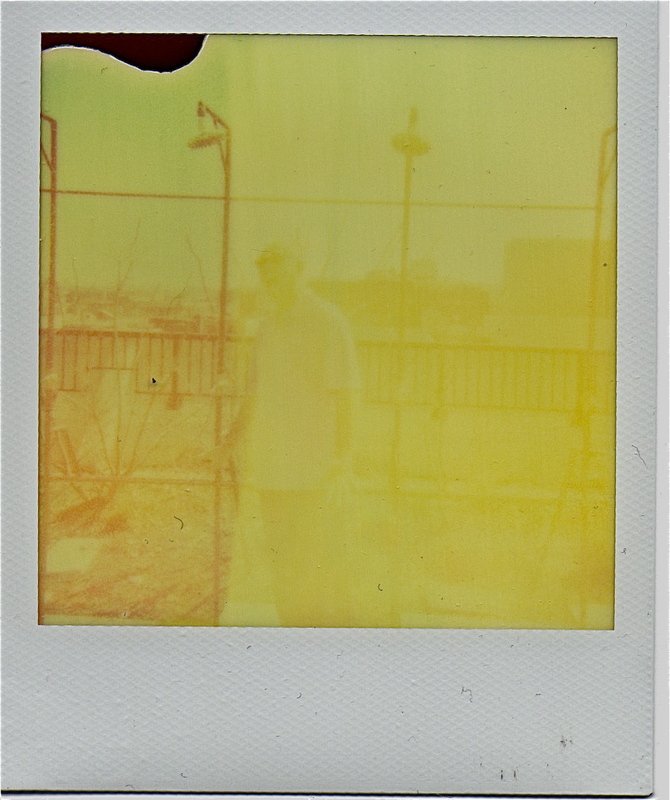 PX70 Color Shade expired film. This photo is the clearest, and I like all of the colors. After editing in iphoto. There is better contrast and the image is sharper overall. Meowold in front of the empire state building. PX70 Color Shade expired film. 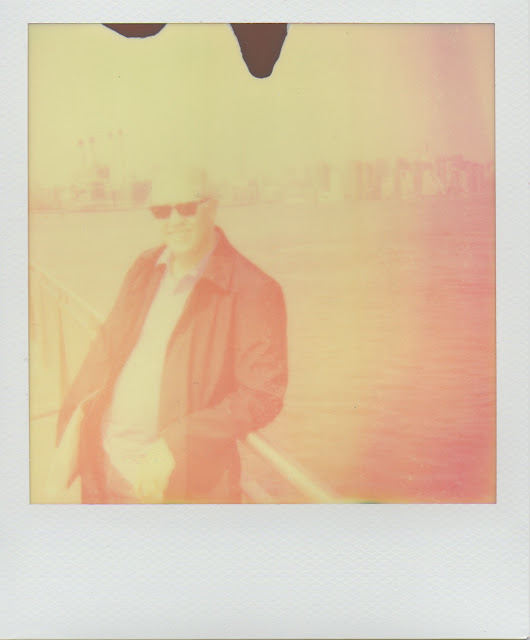 This photo has a dreamy, fuzzy look and a lot of yellow tones. After editing in iphoto, the yellows are brighter and there is more sharpness. You still can't see the empire state building in the background though. So! Lesson learned. 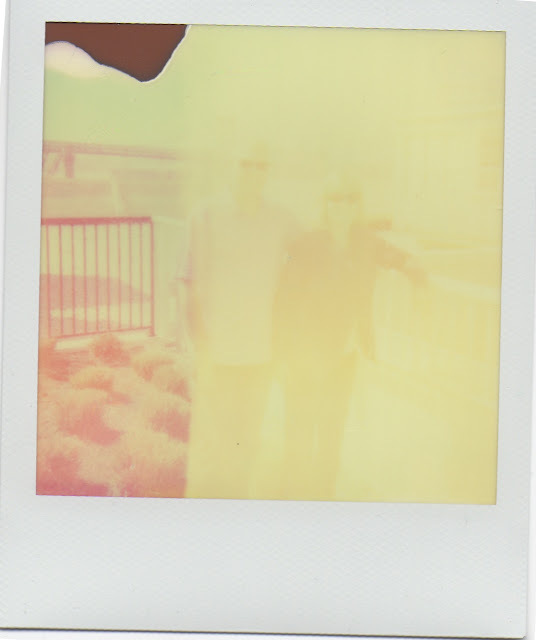 Don't take polaroid photos in the bright sunlight unless you want to get dream-like fuzzy effects.